Keep up to date with information about our latest climbs by joining our mailing list. Sign up and we'll keep you informed about new adventures, special offers, competitions, and news. 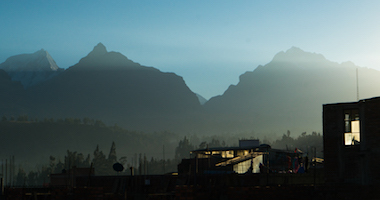 Discover the cultural landscape of Mt. Rainier! Learn about Denali's glaciology, history, environment, soundscape and more! Want to truly get off the beaten path? 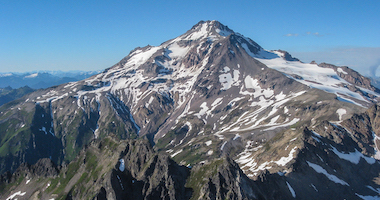 Join us on a climb of Washington's Glacier Peak! Hone your climbing skills in Peru's Cordillera Blanca mountains in 2019. 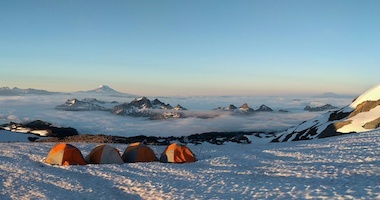 Climb and Ski 4 volcanoes in less than two weeks! Join us in Chile this fall. 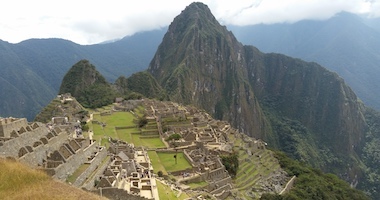 Travel the Salkantay Trail through the Peruvian Andes to Machu Picchu - a UNESCO World Heritage Site. A native of Bainbridge Island, WA, Matias got his first taste of climbing in the Olympics and the Cascades. He lives in Bozeman, MT where he studies science education at Montana State University. He enjoys all of the climbing and skiing that southwestern Montana and the surrounding area has to offer. Matias hopes to combine his love for the mountains with his teaching interests to educate and guide other climbers towards their goals. Ice climbing in the winter and rock and alpine climbing in the summer, Matias tries to be a student of the mountains as often as possible. When not climbing or skiing, he likes to ride his bike, cook, trail run, read and spend time with friends and family. 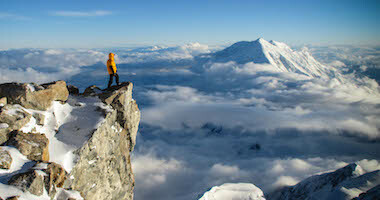 Rock and Ice Climbs in Washington, Oregon, Montana, Idaho, Wyoming, Utah, Alaska, and Canada. 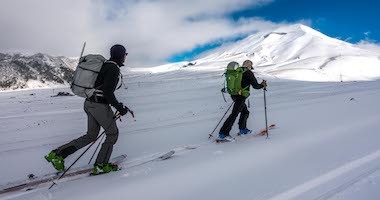 Ski Descents in Washington, Oregon, Montana, Wyoming, and Alaska. First ascents in the Beartooth Mountains. SW Ridge of Mt. Francis, Alaska Range. Numerous rock and alpine ascents in the Cascades. Thank you for subscribing to the RMI Expeditions Newsletter!